Jason began his racing career at the age of 6 when he started racing BMX bicycles and made the move to Motocross at the age of 13. He won state championships in Arkansas and Mississippi as well as National Championships in New Jersey and Ohio. In 1993, Jason turned his focus to Sprint cars. That same year, he finished the point season in second place and was also named "rookie of the year." In 1996, Jason joined the American Sprint Car Series with a goal to finish in the top 10 in points. A seventh place finish for the "new guy" on the tour gained attention from promoters and fellow racers. 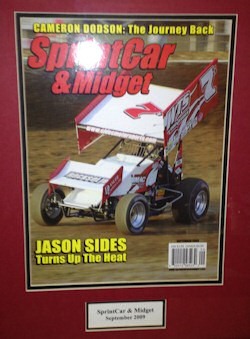 In 2001, Jason and Sides Motorsports made the decision to go National with the World of Outlaws Gumout division and during his first season, won the feature event at Tulsa Speedway. After an impressive run at Knoxville Nationals, Jason was named the "Nationals Rookie of the Year" and went on to finish 2nd in points in the Gumout division and claim "Rookie of the Year" honors for the series. Jason also won the Short Track Nationals at Little Rock and was named "410 Rookie of the Year" by the National Sprint Car Hall of Fame. For 2002, Jason started the year off with a bang by winning both of the memorial races at the Winternationals. Jason was named "King of the 360s" after winning the Ronald Laney Memorial race. Jason's quest for the 2002 season was a strong finish in the World of Outlaws Gumout points race and a spot in the Knoxville Nationals A-main event. Jason finished the 2002 Gumout season at 3rd in points after a very tight points battle between the three leaders. Jason also qualified for the Knoxville Nationals after the first night of qualifications - a feat that few racers are able to achieve. In 2003, Jason was named the World of Outlaws "Kevin Gobrecht Rookie of the Year" and recorded a 6th place finish in the point standings. 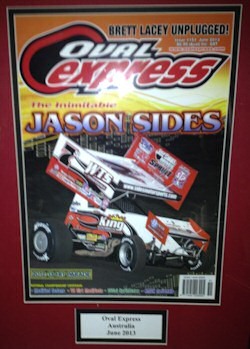 Jason recorded his first World of Outlaws victory in 2004 at the famed Eldora Speedway in Rossburg, Ohio. It was the prestigious "Kings Royal," with a $50,000 payoff. More significantly, it gave Jason a place in the record books and it was the final year for legendary promoter, Earl Baltes, to crown the King. 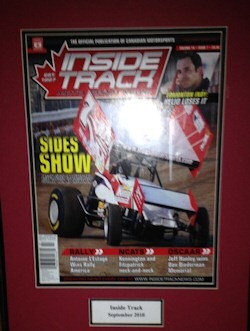 The 2005 season ended with a 15th place point finish with the World of Outlaws and an end to the partnership with Wayne Rhodes after seven years. Jason continues to work out of Wayne=s shop and they remain best of friends. The 2006 season began with a new sponsor and marketing partner, WTS, Wetherington Tractor Service of Plant City, Florida. WTS is involved in land development, utility work, trucking and city services. Kimball Wetherington and his company are all avid racefans and great supporters of Sprintcar racing in central Florida. Jason began the 2006 season by competing in Australia and the down to Florida for the Winternationals. The 2006 visit featured a new first for Jason, as he shed his wing and competed wingless for the first time in his career. Jason said he had a blast. He won his two heat races and had feature finishes of fourth and sixth against some very stout competition at East Bay Raceway. What was most amazing of all this was not only the fact that Jason was running without the wing for the first time, but he was also competing against 410-powered drivers with a 360 cubic inch power plant. Not a bad start in no winged cars at all. In 2006 Jason competed with the National Sprint Tour where he finished the season 7th in the final point standings. He recorded 27 top 5 finishes, 48 top 10 finishes and one win which came at mid season at Sedalia, Missouri. Other wins came at Malden Speedway with the USCS series, at Volusia Speedway for the USCS opener and again in Oregon with the Northern Sprint Tour. In 2007 Jason started the season by competing in has first ever Chili Bowl event in Tulsa, OK. After a week at the Chili Bowl it was off to Sydney, Australia to race a Parramatta Raceway in the annual AOutlaws Down Under@ event. The season was highlighted by winning the A-feature at the Oshweken Speedway in Canada and by making the A-Main at the Knoxville Nationals. Jason finished 16th place in the final point standings against a strong field of cars all season long. The 2008 season saw Jason finish in the 13th position in the final point standings, a three position improvement from the previous season. The season ended with some excitement as Jason finished in the top five three times in five starts while racing down under in Australia. A very good confidence builder for the upcoming 2009 season. In 2009 Jason finished in 5th place in the final point standings on the strength of 47 top ten finishes with 24 finishes in the top 5. Jason set 10 fast times during the season and a track record at the Skagit Speedway. The 7s team won 2 feature events during the 2009 season. The 2010 season was the best yet of his career and topped the 2009 season with 4 wins, backed with 51 top tens and 24 top five finishes. This put him in 5th in the World of Outlaw point standing for the second year. Jason finished out the 2010 year with another 4 wins in Australia in November and December after the Outlaw season ended. 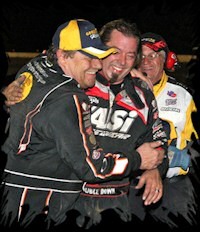 The 2011 season started out with a win in the finale of the Volusia Dirtcar Nationals in Florida with wife Farrah and daughter Skylar in Victory lane with him for the first time. Jason ended the season, with only 64 races run, with 4 wins, 42 top tens, 21 top fives and a 6th place in the yearend standings. (1) World of Outlaws win, (1) All Star Circuit of Champions win, and (1) USCS National Series win. 2013 season began with 3 wins in Australia and Jason returned home and headed to Florida and continued the season with the World of Outlaws. The 2014 season also began with an extended stay in Australia. Jason will race there through the end of JanuaryAnd return to run the entire 92 race season with the WoO. WTS, Dancer Logistics, Weld Wheels, VRP Shocks, FSR Race Products, King Racing, BR Motorsports, ASI Racewear, Joe Gibbs Racing Oil, ButlerBuilt and East Coast Logistics, all continue to support the 7s teams racing program and for that, we are truly greatful.